Home Local News WATCH! SA WAKAS LUMABAS NA ANG TUNAY NA PAKAY NG MAUTE GROUP AT ANG NASA LIKOD NITO! WATCH! SA WAKAS LUMABAS NA ANG TUNAY NA PAKAY NG MAUTE GROUP AT ANG NASA LIKOD NITO! 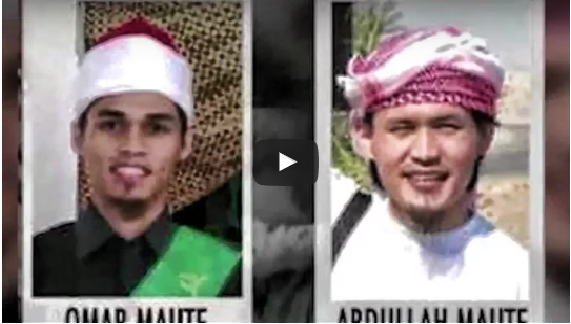 The Maute group, also known as the Islamic State of Lanao, is a radical Islamist group composed of former Moro Islamic Liberation Front guerrillas and some foreign fighter led by Abdullah Maute, the alleged founder of a Dawlah Islamiya, or Islamic state based in Lanao del Sur, Mindanao, Philippines.The group figured in a clash with Philippine Army troops in February 2016 that ended with the capture of their headquarters in Butig, Lanao del Sur.There are reports that Omar Maute, Abdullah’s brother, was killed in that clash. There are also reports to the contrary, claiming that he escaped before the camp was overrun and is still alive.Since then the group, which a Philippine Army brigade commander characterized as terrorist, has been conducting a protection racket in the remote settlements of Butig.